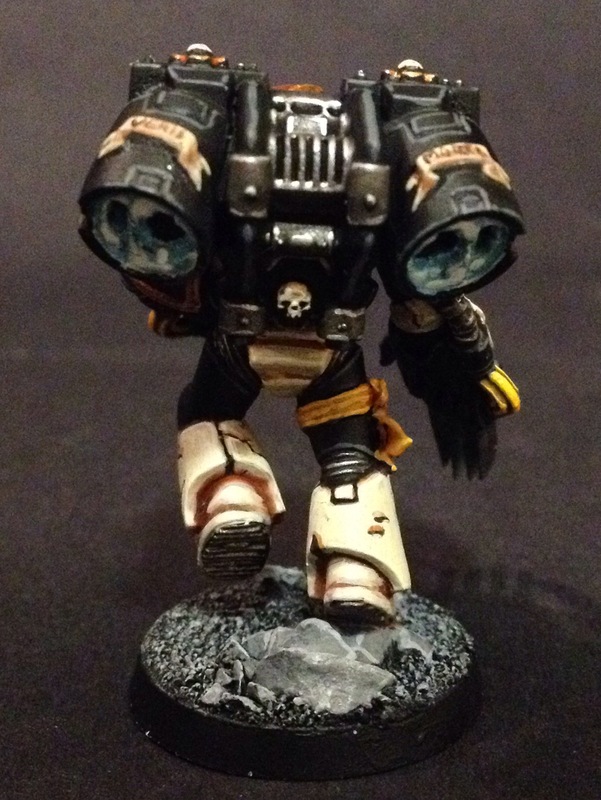 I am returned to you, much refreshed from a short break in foreign parts and I come bearing a new addition to my Mortifactors Vanguard Veterans squad. 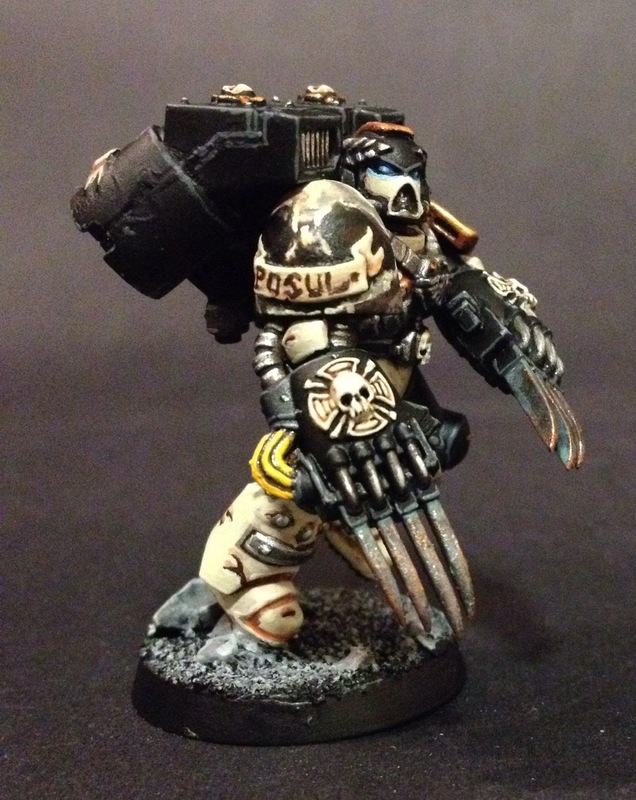 This space marine is rocking a set of weathered bronze lightning claws that are ready to rip his opponents limb from limb. 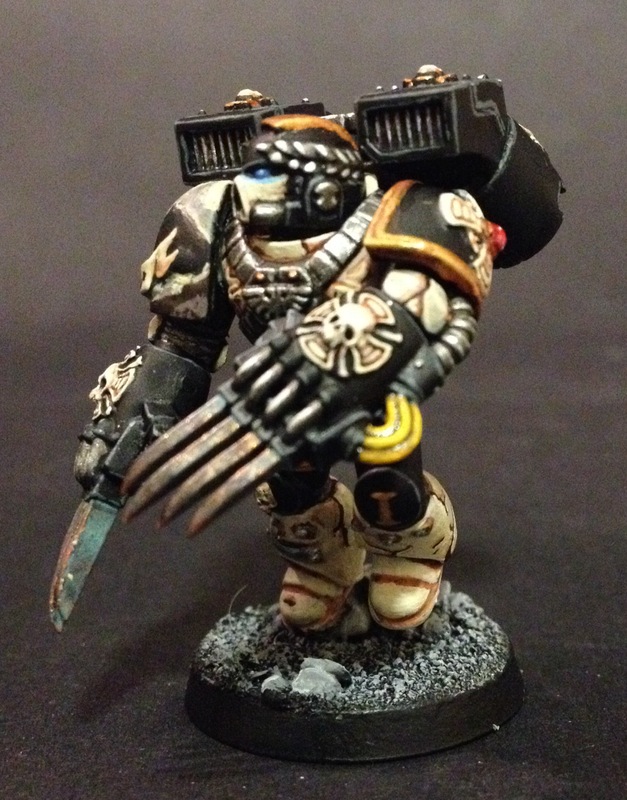 I’ve never been a particular fan of the claws – just something with to do with the general aesthetic – but I actually got into painting these ones and I think they suit this guy pretty well. The give him the look of a venerated yet feral predator, and that’s exactly what he should look like. I’m really happy with all the parts of the arm, from the shoulder pads to the tips of those dangerous claws. And I think I got the eyes right again. I was also quite happy with the loral wreath around the head even though it was very simply done – I just thought it looked quite good. Anyway, here are a few more images for you to enjoy. 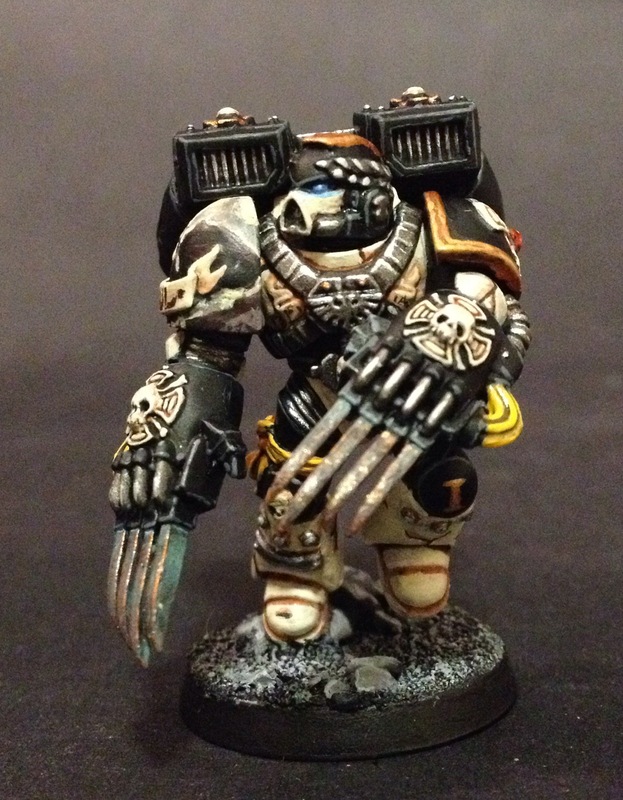 He was undercoated black, Citadel paints were used throughout and I used that same Series 7 000 brush that has really become my go-to set of bristles. On to the next one! Comments, questions and constructive criticism welcomed – just add it below! 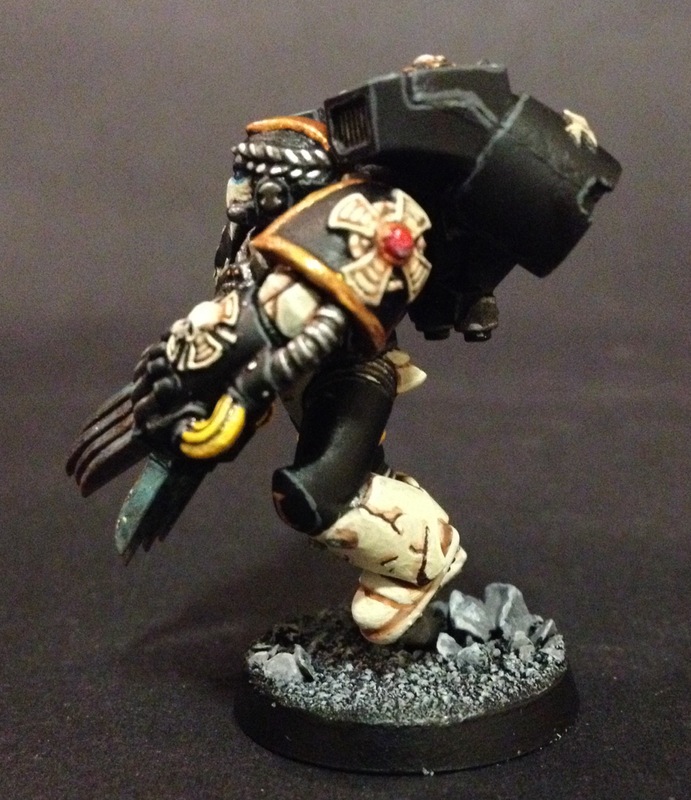 ← Daemon Herald of Nurgle – Another One!